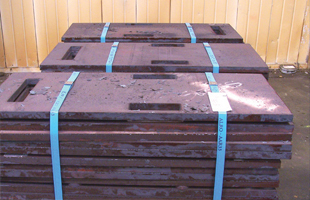 Stress Relieving diminishes the residual stress in steel caused by working the material (i.e. ﬂame cutting, forming, rolling, casting, machining, welding, bending, straightening). This is accomplished by reheating the steel then cooling it at a slower rate. Normalizing is accomplished by heating the metal above the transformation temperature, then cooling it in still or slightly agitated air. 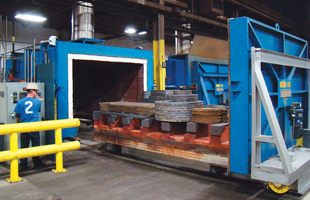 Annealing is accomplished by heating the metal just below the transformation temperature, then cooling in a controlled cycle which limits the cooling rate and brings the temperature down slowly. 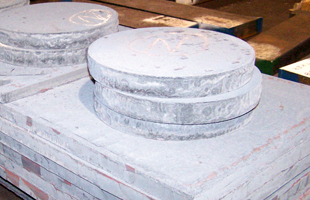 Alro’s thermal processing services gets you this much closer to your finished product.